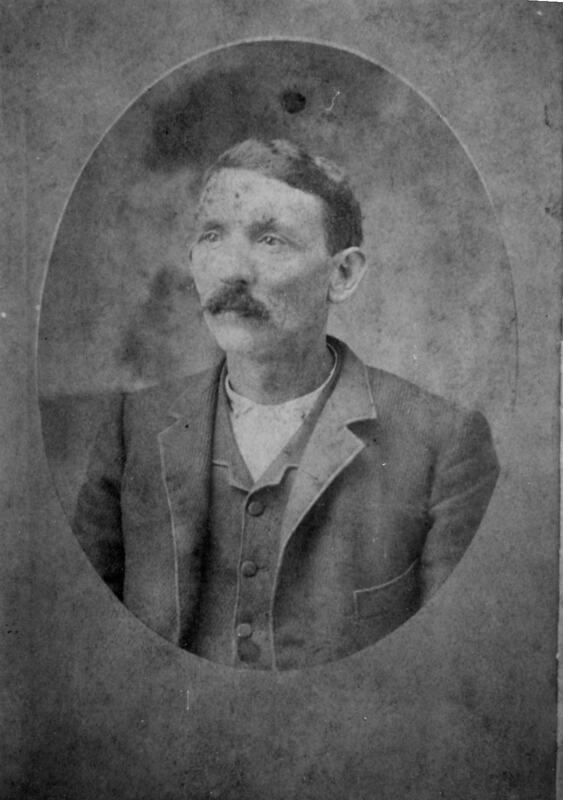 Greenberry Garvin Evatt was born Dec 14, 1842 in Walker County, GA, the son of James H Evatt and Marilda “Mary” Garvin. He married Eve Bunch on Oct 11, 1868; she was the daughter of James and Susan Bunch. They had 3 children: Greenville, Luther, and Louella. Greenville died on July 14, 1870 at not quite a year old. Luther married Emma Holifile. They are the parents of Garvin Talmage Evatt, Gordon Lee Evatt, Liillian Doris Evatt, Guy Raymond Evatt, and Emma Glen Evatt. Louella married Robert Tatum and had two daughters, Gladys and Loise Tatum. Eve Bunch Evatt died on Dec 25, 1876, a sad Christmas day. She and her son Greenville are buried in the Cedar Grove Cemetery in Walker County, Ga.
Greenberry married a second time on July 30, 1878 to Maryland America “Meckie” Tatum. She was born March 1, 1857, the daughter of Robert Tatum and Mary Ann Sutton. Greenberry and Meckie had 7 children: Claud Milton Evatt, Maude Ethel Evatt, Fannie May Evatt, Nellie Mix Evatt, Winston Virginia Evatt, Frank Garvin Evatt, and Raymond Albert Evatt. Maude Ethel Evatt (June 24, 1881 – May 19, 1970) married on Aug 3, 1903 to Luther Thomas. They had 1 daughter, Mildred Thomas. Fannie May Evatt (Mar 7, 1884 – Sept 10, 1886) she is buried in the Hanna Cemetery in Rising Fawn, Ga. Nellie Mix Evatt (Dec 9, 1886 – May 26, 1887) she is buried in the Hanna Cemetery in Rising Fawn, Ga. Winston Virginia Evatt (Oct 13, 1889 – ?) married first on Dec 1, 1927 to Booth Guthrey, married second in June, 1942 to Jim Killibrew. Frank Garvin Evatt (May 22, 1892 – Dec 6, 1944) married Agnes Hilton. They had 1 son, Frank Garvin Evatt Jr. Raymond Albert Evatt (Dec 31, 1895 – Feb 15, 1971) married on Dec 10, 1925 to Winnifred Newton. In addition to his own children, “Green” became the guardian of his nephew, Robert L. Evatt, the son of Green’s brother, Azina M. Evatt, in 1890. Robert was 14 years old at that time. Green died July 25, 1919. His wife, Meckie, died Nov 16, 1927. They are buried together in the Hanna Cemetery in Rising Fawn, Ga.